Group of Amish folks chatting at a public sale. 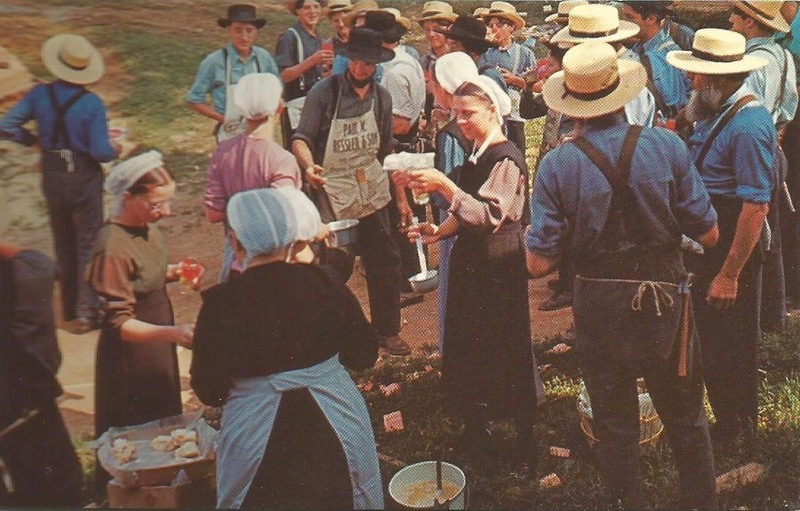 The Amish are a Religious Sect who have retained many of their forefathers' original customs, and beliefs, and live almost solely from Farming; without the use or aid of modern conveniences. Time-out from Barn-Raising by the Amish. These people join in and help their neighbors, without pay, to construct new barns when needed. They start in the morning and by evening the building is completed. 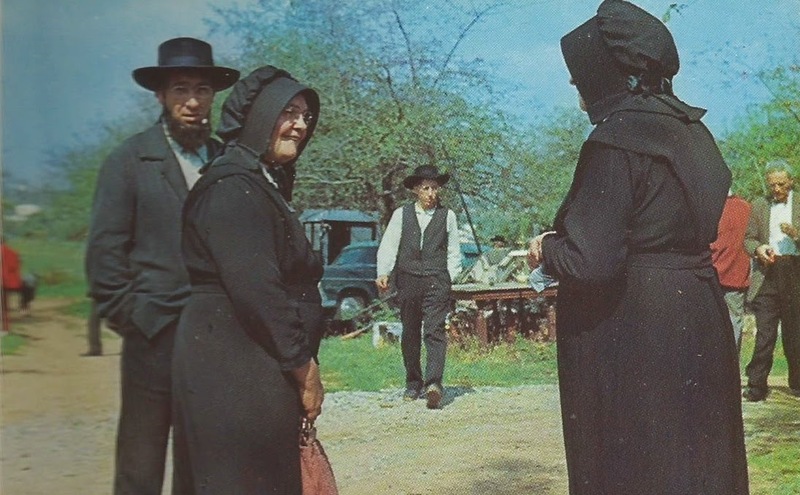 The Amish are a Religious Sect who have retained many of their forefathers' original customs, and beliefs, and live almost solely from Farming; without the use or aid of modern conveniences. U.S. Rt. 30, 6 Miles East of Lancaster, Penna. Authentic replica of a kitchen in an "Old Order" Amish house. 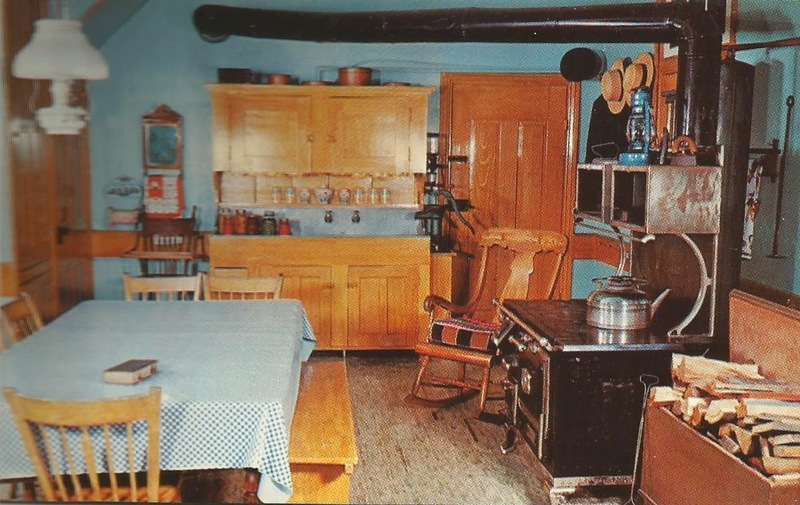 Note the simple cupboards, the dinner table, the coal and wood stove, the oil lamps, etc. This room is the center of all home activities. 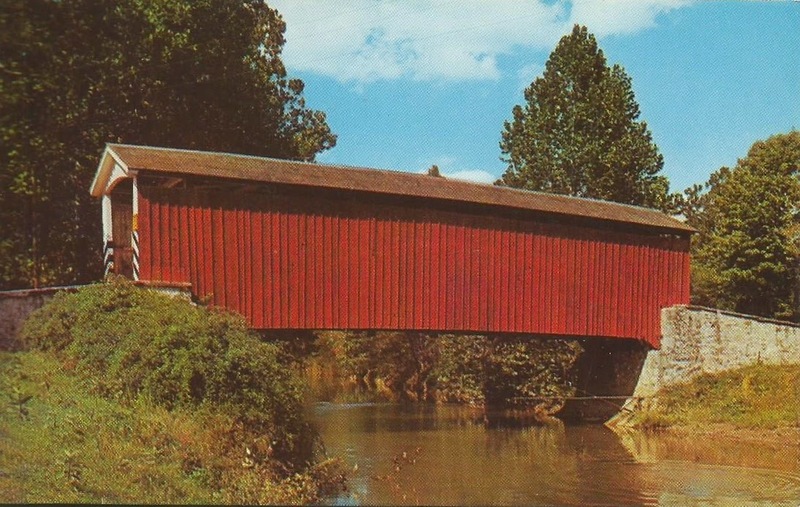 Johnson's Mill Bridge located just off Route 340 East of Marietta, Pa. approximately 12 miles from Lancaster.